Fawcett Plumb was born on 10 December, 1834, in Andover, Ohio, to Frances Merrill Plumb (1806-1899) and Laura Mary Hyde (1810-1854). Frances Plumb married to Laura Mary in October, 1830, and they had (at least) 6 children: Nelson (born 1833), Fawcett (1834-1919), Sara (1838-1921), John (1844-1921), Robert Kerr Porter (1846-1921), and Laura (b. 1847). Frances Plumb was a humble farmer (he was a successor of the early settler John Plumb (1594-1648), who crossed the Atlantic in his own vessel from England in 1635, locating in Wethersfield, Connecticut), and Fawcett had to work in the family farm at a young age. He attended public schools before enrolling at Oberlin College, Ohio, in 1857. 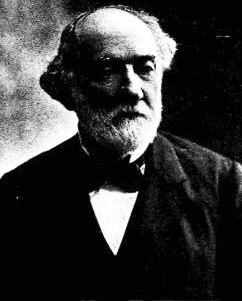 At the time, in Oberlin lived his uncles, Samuel Plumb (1812-1882) and Colonel Ralph Oberlin Plumb (1816-1903) (see the nearby photo), leading citizens of Oberlin and prominent local businessmen and politicians. Colonel Plumb took care not only for Fawcett, but also for his brothers, and Fawcett worked for many years as a secretary of his uncle. Moreover, in the college Fawcett studied together with the eldest daughter of Ralph Plumb—Lucy Geraldine (1841-1875), and on 26 August, 1866, Fawcett married to Lucy, thus Colonel Plumb became also his father-in-law. During the study in the college and after graduating in 1862, Fawcett worked for his uncle and studied law at University of Albany, New York, where he was admitted to the bar in 1867. Later that year, he came to Pontiac, Illinois, forming the law office of Fleming, Pilsburgy & Plumb. He practice for one year before moving to start a real estate business in Streator, where Colonel Plumb moved in 1866, engaging in the mining of coal, building of railroads and banking. Besides the real estate, Fawcett Plumb's business interests included the Streator Paving Brick Company, Eagle Clay Works (together with Colonel Plumb's son John), and the Plumb Opera House (see the postcard below). 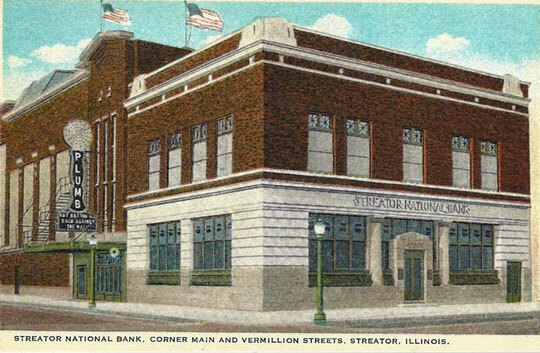 He also cofounded the Streator National Bank in 1881 and became one of its first directors, and he was elected president of the bank in 1891. Fawcett Plumb was a gentleman of sterling upright character, but his domestic life was full of sorrows. His wife Lucy gave birth to 3 boys, but all of them died in infancy—Edward (b. 1867-died after 1870), Ralph (1869-1870), Freddie (1870-1871). In 1875 Lucy fall ill and went to Colorado for her health, but passed away a few days after arrival, on 1 July, 1875, being only 33 y.o. In 1885 Fawcett married second time, to Ermina Ballard (1858-1889), but Ermina died only 4 years later, leaving him one son—Ermin Fawcett (b. May, 1889). In 1895 Fawcett married third time, to his second cousin Carrie Merry (1853-1915), who also outlived. Fawcett Plumb was elected as an independent (he was an independent Republican, generally supporting the Republican Party, but unafraid to shift allegiances) to the Illinois Senate in 1874, serving two two-year terms. Fawcett Plumb had an inventive mind and devised and patented many tools and machines, among them an adding machine (see keyboard adder of Plumb), device for fastening roof tiles, kiln for burning bricks, ditching machines, and twin cylinder single acting engine. In 1884 he received an invitation to exhibit his steam tile ditcher at the World's Fair in New Orleans. Fawcett Plumb died at his home in Streator on 25 June, 1919, and was buried in Riverview Cemetery. In his last will he gave 45 acres to Streator, to be used as a park for the citizens (today Marilla Park), requesting the land he gave be named for Marilla Plumb, his mother-in-law and aunt who also was the wife of Colonel Plumb.